Let us do the hard work for you, with this uplifting box of BRYT Skincare for Him. The perfect gift for any relative or special friend. 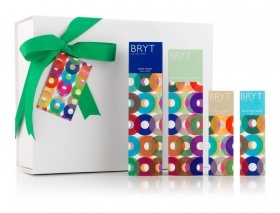 The box contains BRYT Hair and Body Wash for Him, BRYT Foaming Cleanser for Him and BRYT Daily Moisturiser for Him. Includes postage anywhere in the UK.